Mitsubishi Motors SA is making sure the replacement of defective parts is done as quickly and efficiently as possible to ensure your safety. If your vehicle is affected, the inspection and replacement procedure will take approximately an hour. To see if your vehicle is affected, use our automatic VIN checker below. A VIN number is the unique, 17-character serial number used to identify individual vehicles. 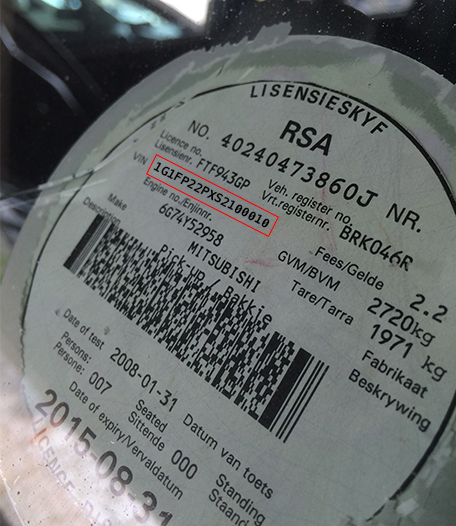 The easiest place to find your VIN number is on your vehicle license disc, below your license number.